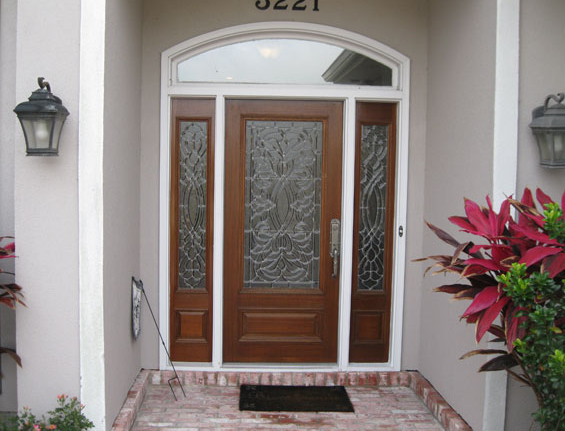 Beveled glass doors add that little bit of pizazz to the front of your home that makes it stand out from the rest. They are beautiful, unique, and a wonderful element to warm up your entryway. They are also energy-efficient. One thing they aren’t is cheap. The reason is that they do require a bit of extra craftsmanship. However, the cost may not be as high as you think. In this article, we will look at the costs of beveled doors as well as ways that you can find a deal on one. At Doors of Elegance, we’ll work with you to find the right fit for your home at a price you can afford. Though beveled doors can run much more, you can get a great one starting at around $600. Is that an investment? Yes. But, your door should be. It is the first thing that any guest sees when they pay you a visit and it’s the entryway that will greet you each day. New Orleans is known for their beveled doors which are both beautiful and traditional statement pieces. They are meant to catch the eye and be a focal point. The added touch of understated elegance really takes curb appeal up a notch. We may have some doors in stock that have been hanging around for a while. If we are looking to move a door, you can likely get it at a deal. Ask a staff member when you call. We will work hard to find a way to get you the door that you want at a price you can afford. With as many options as we have, we know you will leave satisfied. We are a family-owned business and we are, above all, committed to making our customers happy. Let us do that for you. Ready to see some options? Check out our stunning collection of Beveled doors online. You will see that we have a huge variety of choices and we are always happy to help you customize your door just the way that you would like it. It is your home, after all. We understand that a door can mean a lot to a family and we want yours to look just right. Call, or come into the showroom and let us help you understand the options so you can find something in your price range. Whether you pay full price, or get a discount, you will be getting a great deal because our energy efficient beveled glass doors are some of the best in the state of Louisiana. We look forward to hearing from you!